12/03/2011�� Hi guys, Is it possible to add a row to the bottom of a table using a macro? Ideally, the new row would also copy the formulas in the cells of the row above, from which it was copied.... We can directly connect to the data source (instead having to copy/paste data into a worksheet), use a Get & Transform query (to clean the data before it arrives), and connect to multiple data sources (eg, a csv file, a database table, and an Excel workbook) in a single model. For example if the first column in the table is a description column (maybe with spaces between the words), then we will get better results by selecting the first column, converting to Excel, then converting the other columns to Excel.... 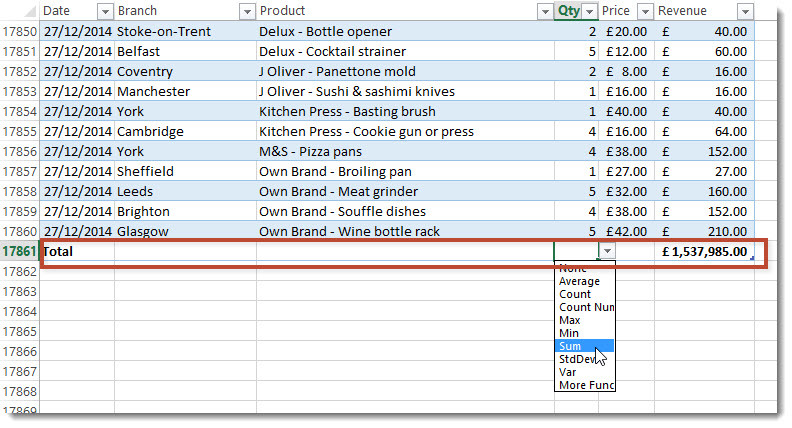 In Excel 2011 (Mac) select a cell in the Table and choose Tables, then select the check box for Total Row. A Total row appears below the data where each column has access to several automatic formulas . For example, our data start from the 2 nd row, so we deduct 2.If your data (actual data, not table headers) start, say, from row 5 and you enter the formula in cell D5, then you put (D5)-5. And finally, we divide by the number of rows to be merged in each block (since we are combining the blocks of three rows, we add /3 at the end of the formula). 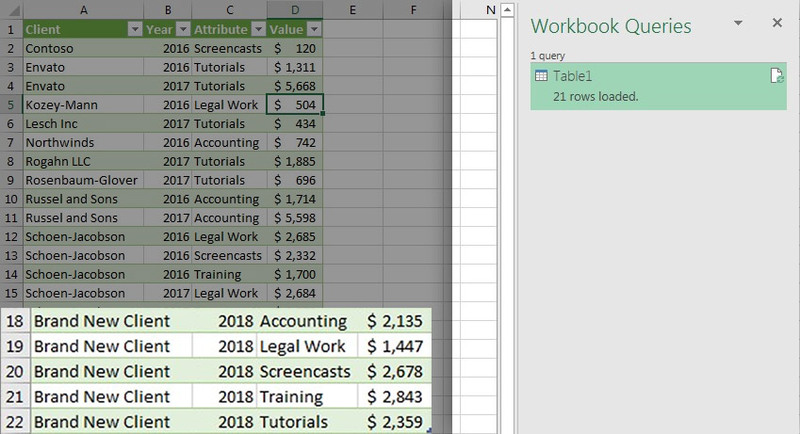 For example if the first column in the table is a description column (maybe with spaces between the words), then we will get better results by selecting the first column, converting to Excel, then converting the other columns to Excel. If you add more rows to the data, Excel Table would automatically expand to include this data as a part of the table. And since the formulas automatically update in the calculated columns, it would insert the row number for the newly inserted row (as shown below).